The Titan Basicline® Basic Navel Bananabell is available in lengths of 10.0mm, 12.0mm and is chracterized by two terminal balls (the lower is bigger than the top one). 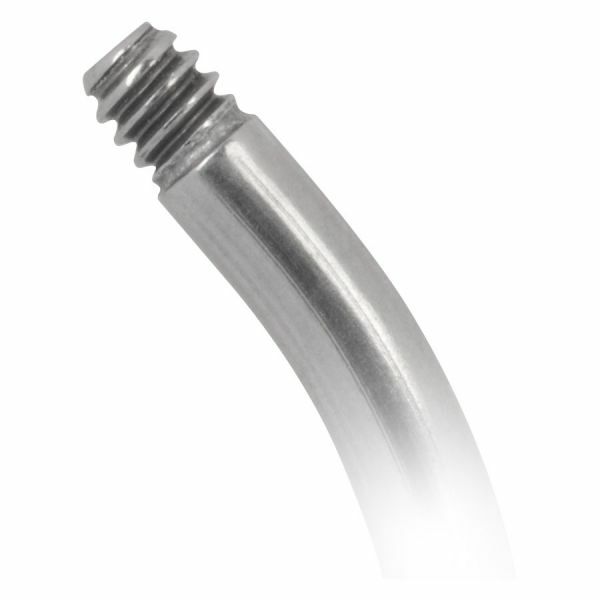 The slightly bended bar is externally threaded. Please pay attention, that you will not harm your skin during insertion.